Join thegallery8680 for 50/50 a solo show featuring fifty original works of art by Misty Oliver-Foster, all for only $50 each. The show will be Friday, September 21, from 7:00 – 9:00pm. 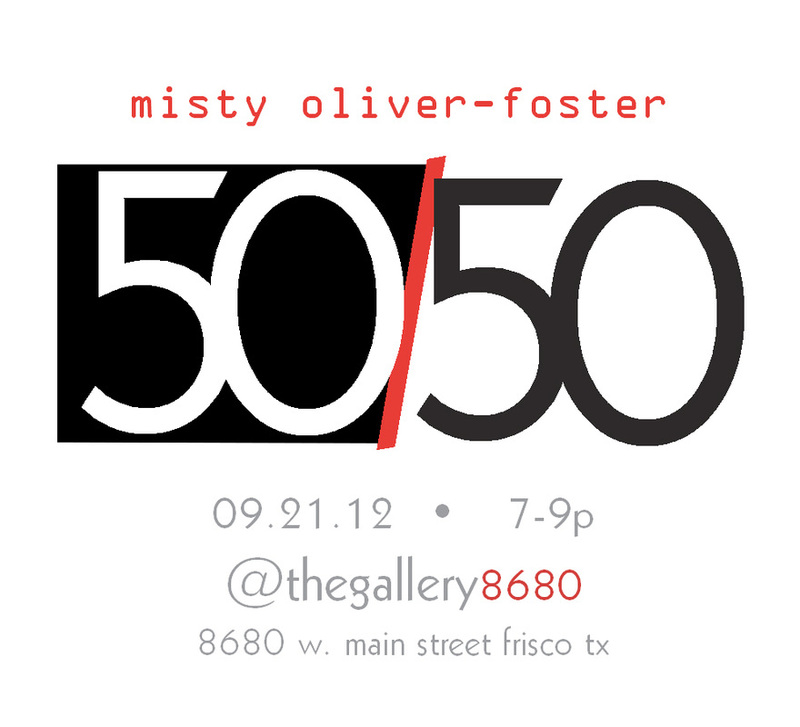 Misty Oliver-Foster is a Frisco-based artist, known for her expressive paintings, drawings and mixed media work. She has been featured in many exhibits in the Dallas area, as well as in Houston and Austin. Misty has received numerous awards, including Best of Show at the 2010 Texas & Neighbors five-state Juried Exhibition, and she was a finalist this year for the prestigious Hunting Art Prize. 50/50" will be up for one night only at thegallery8680. You don’t want to miss this unique opportunity to collect Misty’s work. To see more of her portfolio, visitwww.moliverfoster.com. For questions, contact Robyn at thegallery8680@gmail.com.